As I have adapted my families diet, one of the biggest requests I still get from my boys is for some sort of “treat”. To them, a “treat” means something sweet. (Unfortunately, their definition of “treat” reflects the language I used with them as young kids. How I wish I had realized that referring to apples and nuts and other healthy fair might have made them as excited to eat whole foods as they are to eat junk!) To help combat this idea of “treat”, I am always looking for recipes for whole foods that are packaged like “treats” but contain some good for you ingredients. It seems like a never ending quest which is why I was so happy when my school introduced me to these super yummy gluten free, dairy free cookies. 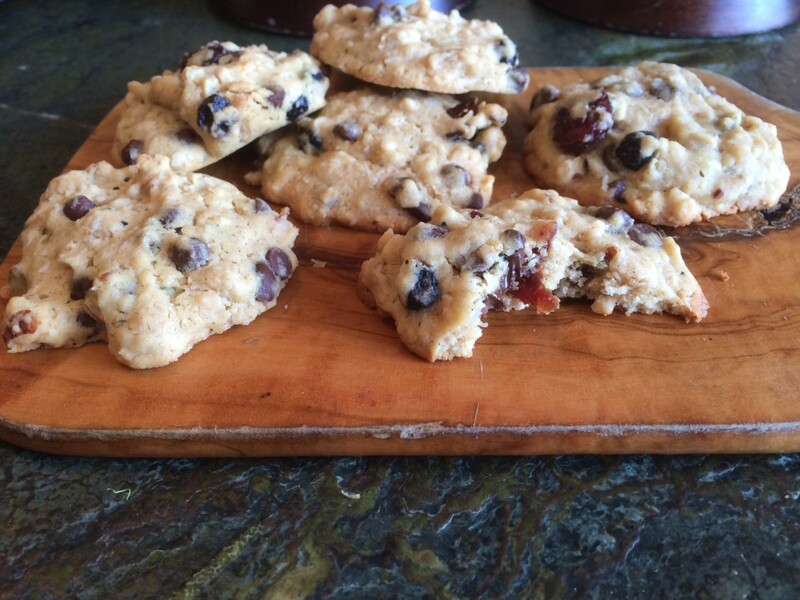 These cookies contain oats filled with fiber, manganese, molybdenum, B vitamins and phosphorus. They also have hemp seeds for a shot of omega-3′s and hazelnuts for increased fiber, folate, manganese and copper. 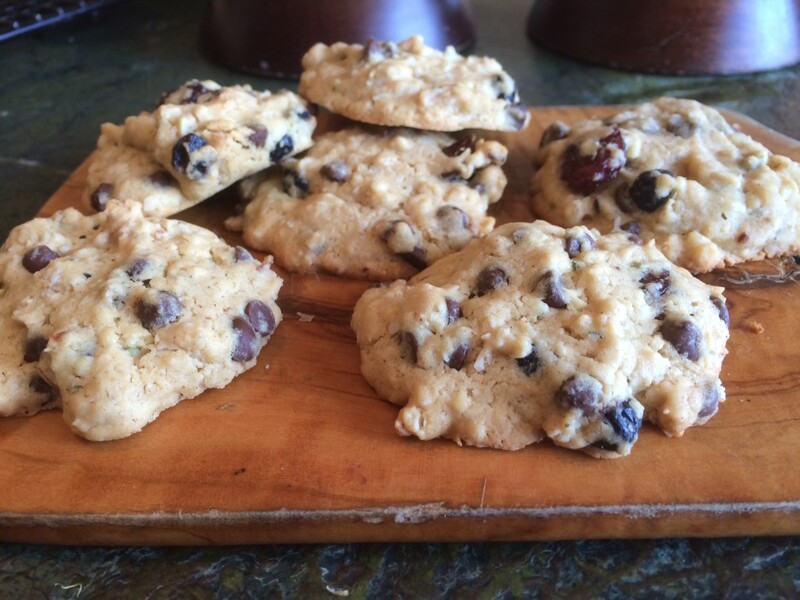 These cookies offer another health benefit. Instead of using butter or margarine, they are made with coconut oil. Coconut oil is a saturated fat, however, it is made of medium chain triglycerides not the long chain triglycerides found in cheese or red meat. Medium chain triglycerides go straight to the liver from the digestive tract, where they are used as a quick source of energy or turned into ketone bodies. These fats have been shown to increase daily calorie expenditure by about 5% a day. Also about 50% of the fatty acids in coconut oil is lauric acid. Lauric acid has anti microbial properties including killing bacteria, viruses and fungi. Lauric acid has also been shown to increase HDL (the “good”) cholesterol and reduced LDL (the “bad”) cholesterol. When buying coconut oil be sure to buy organic, virgin coconut to enjoy all these amazing benefits. 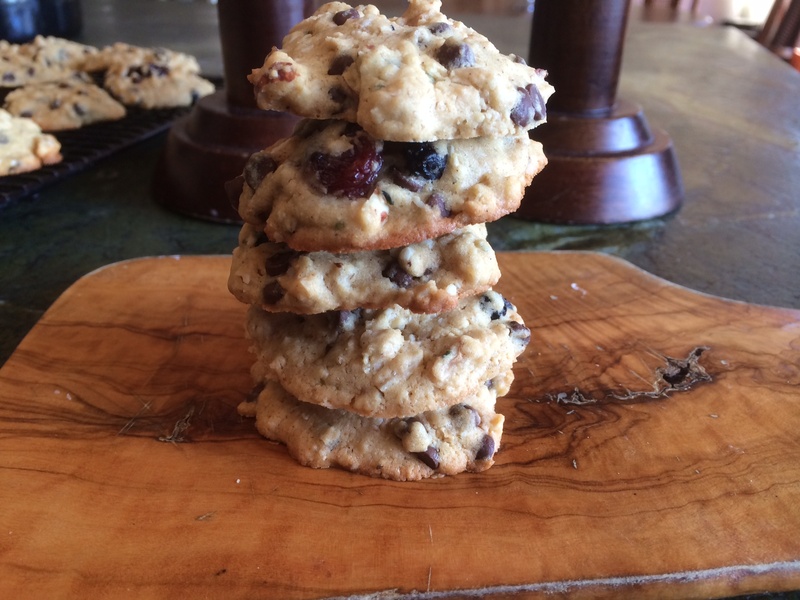 I made these cookies gluten and dairy free because these are two substances we are trying to reduce in our house. 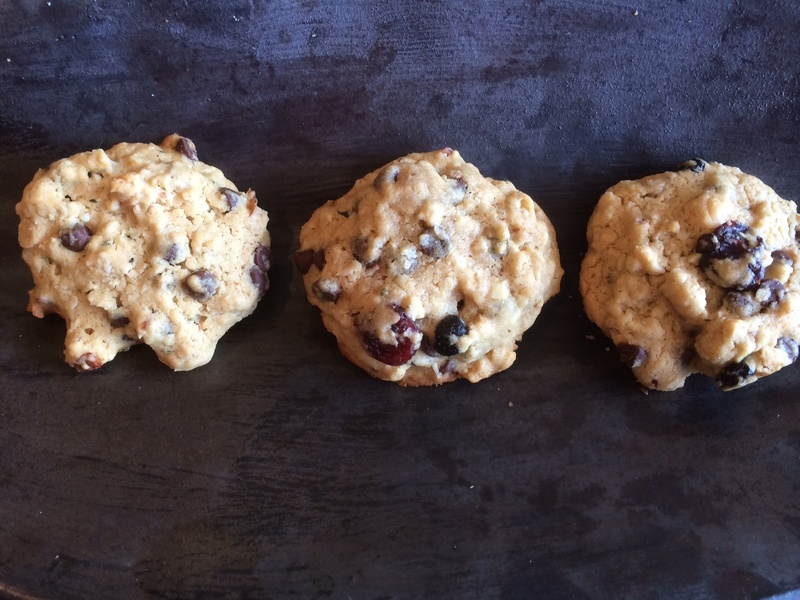 However, if you don’t have these same restrictions, regular flour and non-vegan chocolate chips would be just as tasty. Mix dry ingredients in a separate bowl from the wet ingredients. 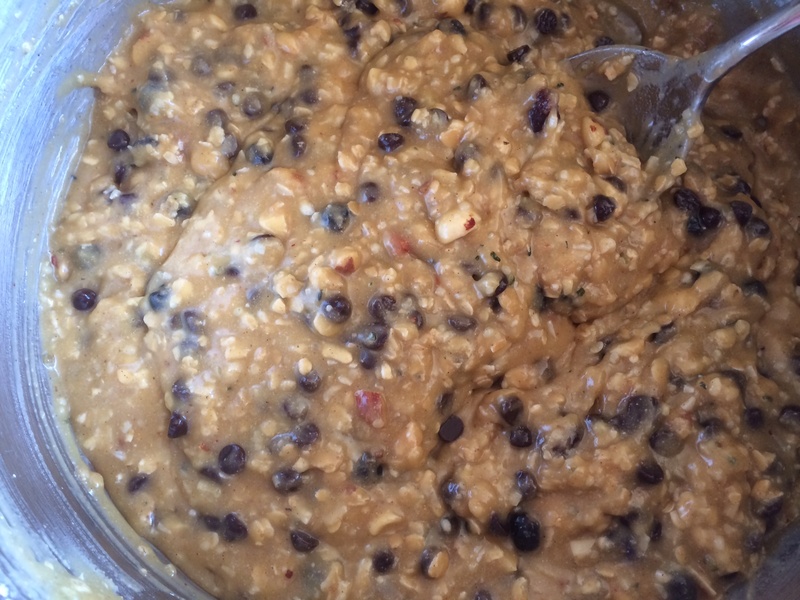 Combine wet and dry ingredients together until well combined. 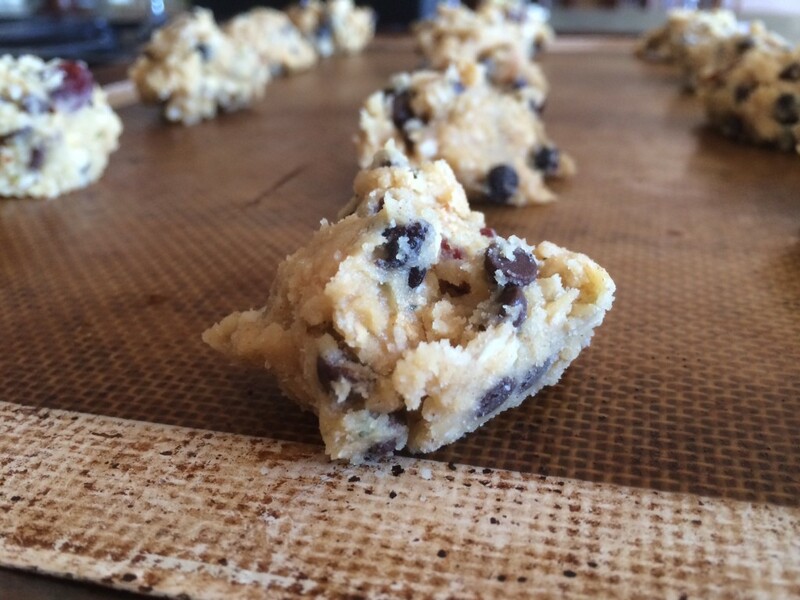 Scoop dough into equal size balls and place on oiled parchment paper or silicone baking sheet. Bake 12-15 minutes until slightly brown on the edges. The ingredients might look and seem a little runny when first combined. 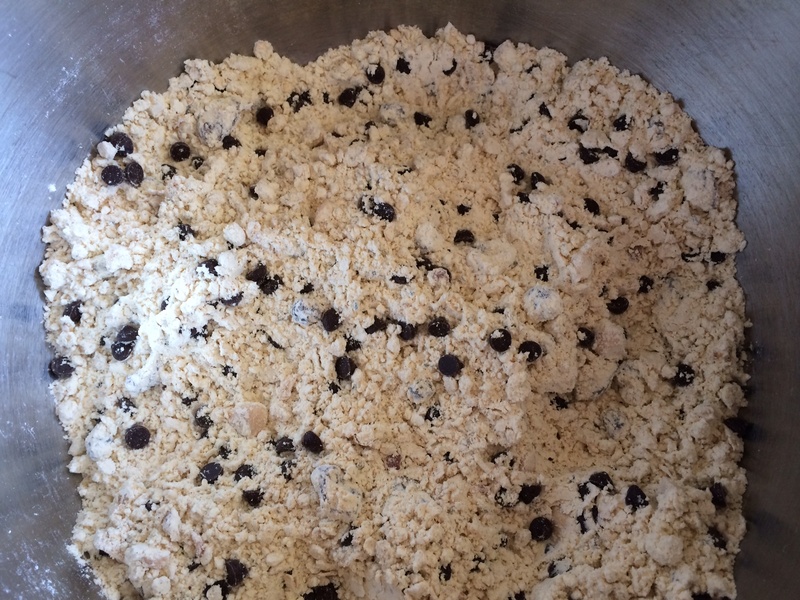 However, once the mixture spends 15 minutes in the fridge, the dough will stiffen up, making it easy to scoop into cookies. Dough scooped out and ready to head to the oven. 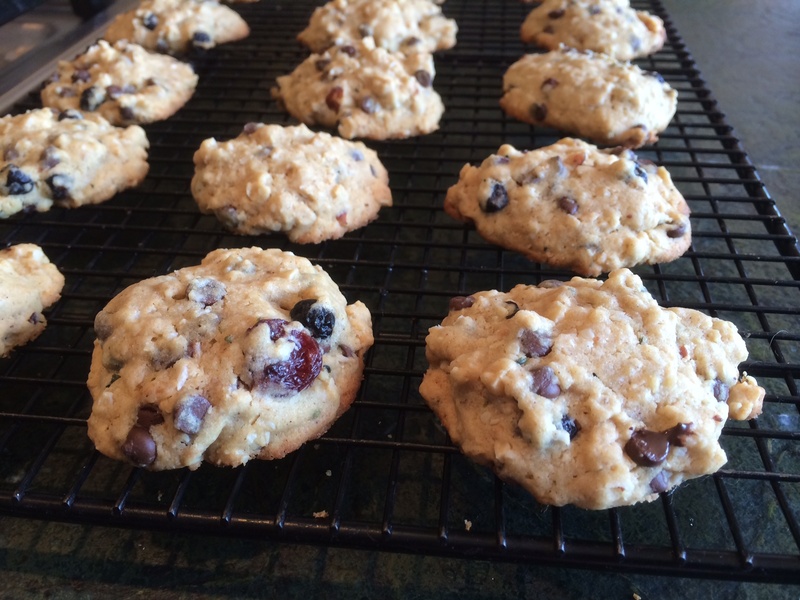 Cookies cooling on the wire rack. This post is part of a linky party on Rock My Vegan Socks, Tip Junkie and a Southern Fairytale.